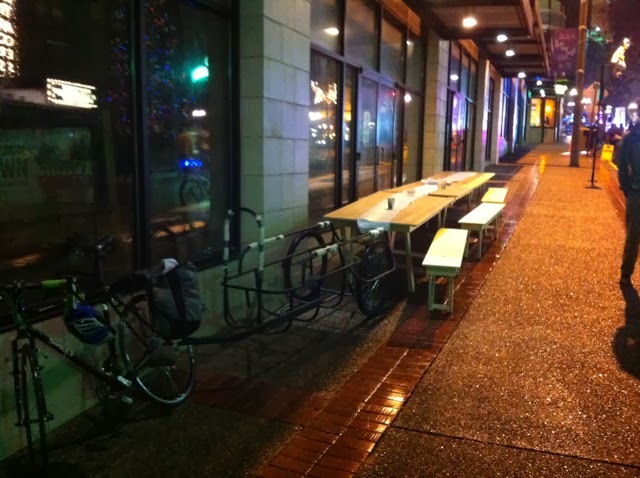 Welcome to the new Kidical Mass Tacoma site! After six fun events in 2013, it's time to get organized for another fun year of riding bikes with kids in Tacoma. We will post details on our upcoming ride calendar here soon, but you can also get updates through our new Facebook page (facebook.com/Kidical Mass Tacoma) and Twitter handle (@TacomaKidical). Follow us! 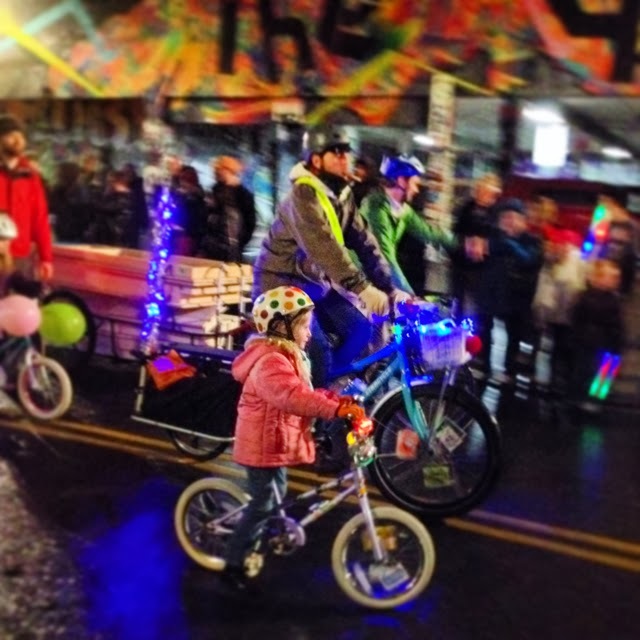 As a final send-off to 2013, Kidical Mass was invited to First Night Tacoma, a New Year's Eve arts and music celebration downtown. 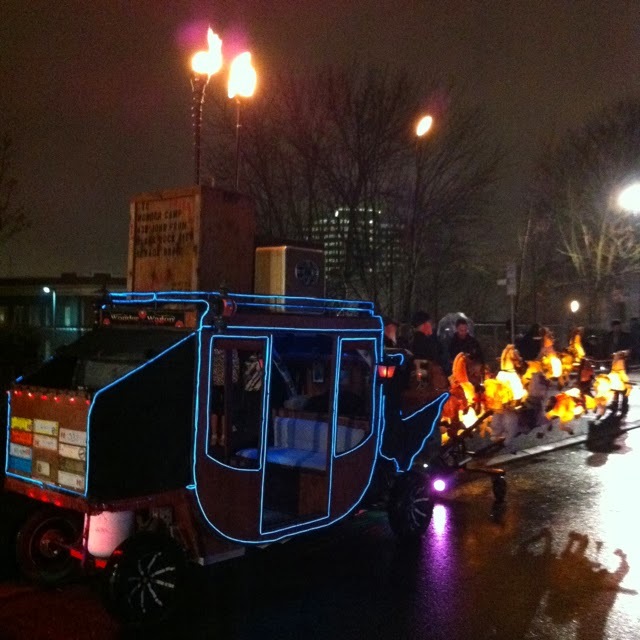 We rode as part of the World's Shortest Parade that launched the evening's festivities. 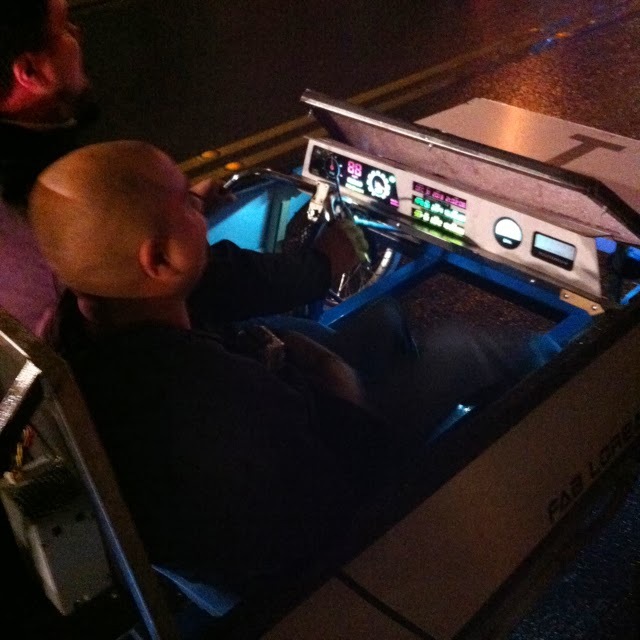 I (Matt, ride leader dad guy) had never been to First Night and was excited to check it out. 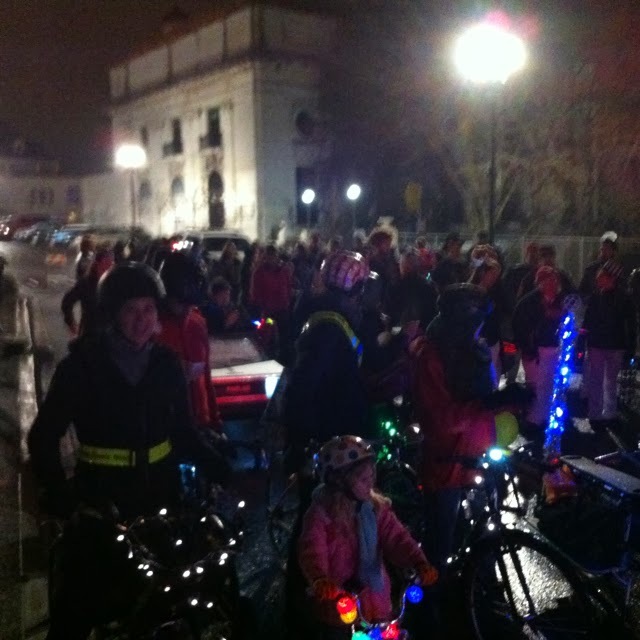 Since it was dark, my daughter and I decorated our bikes with lots of lights. 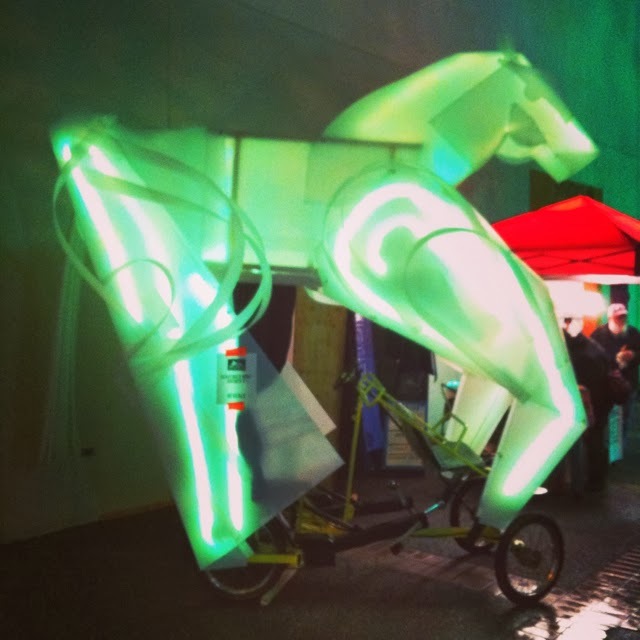 This is actually a great way to stay visible on any night ride year-round! The weather was damp and cold, so both paraders and spectators waited until the last moment to arrive at the start line near the Old Elk's Lodge. One man with a bull-horn was all it took to get this motley crew in formation. It was like being part of a flash mob! Only a few kids rode with us in the parade, but many others lined the 1 block route to watch. 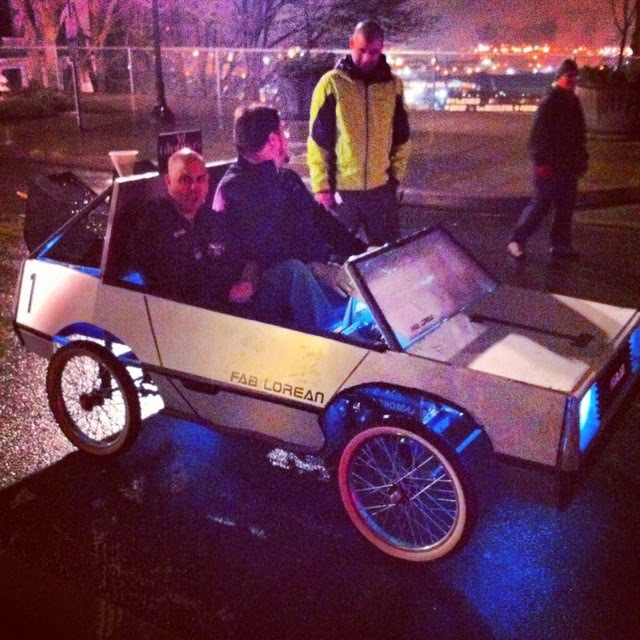 A towering, illuminated Trojan Horse quadracycle led off the group of pyrotechnic mini-floats, street performers, bikes, unicycles, a drumline and even a Back To the Future pedal-car made by Tacoma's FabLab. On my way back up Broadway, I found Josh setting up The Really Big Table Project in front of the Pantages. 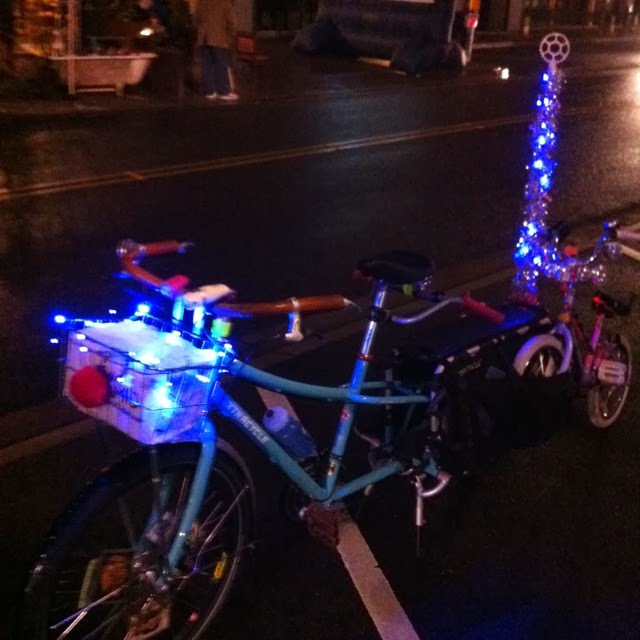 It's a 24' long portable table with its own custom bike trailer, which he towed in the parade. 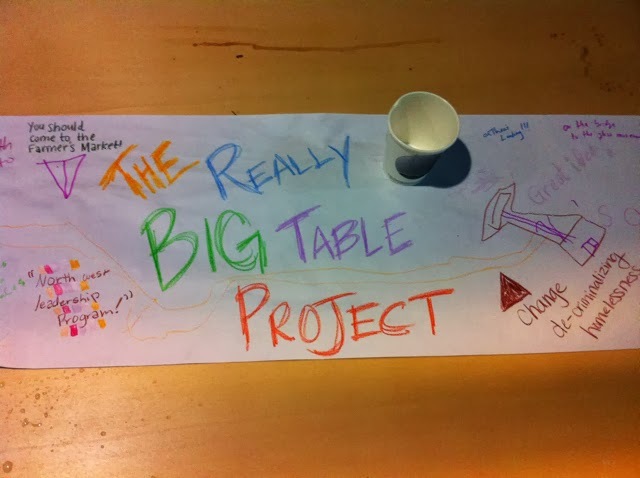 The table is available to rent for community events and is meant to help spark conversation and bring people together. It turned out to be a great night to ride bikes and enjoy the outdoor festivities. 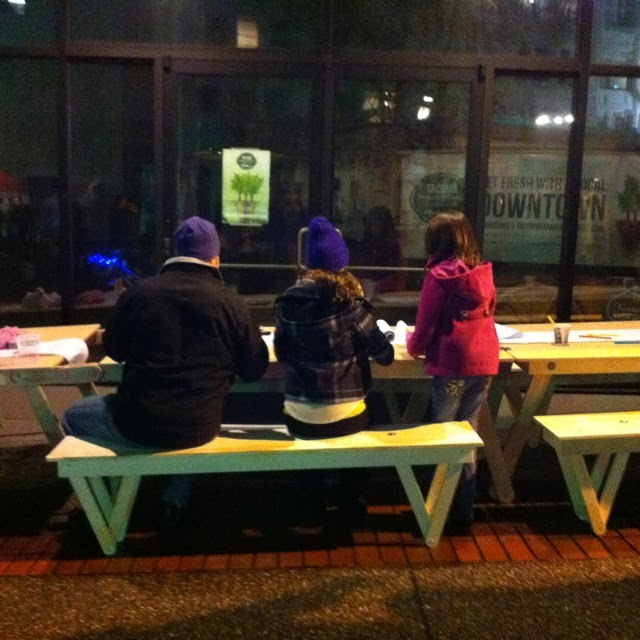 We're looking forward to participating in First Night Tacoma again in 2014!